Last week Ewan was in Bible School and I was his crew leader. Three is the youngest age you can be to attend and we knew he would have fun, once he got over his shyness. Which is why I volunteered to be a crew leader so that he would have me there if needed. Please excuse the blurry photos I took on my phone! There were only three three year olds and three leaders, so they got one on one attention. Once Ewan got over his shyness, he had a blast. He made crafts, played games and had story time. He also picked up the bible verse we learned, 1 John 4:7, and tells it to us all the time. Probably the best part is that he made a few friends...which hopefully means that he'll go to the preschool room on his own! Volunteering also allowed me to meet people at church, which is one of the reasons we don't go all the time because we feel awkward. While Ewan was a little upset that he wasn't in any of the photos shown to the congregation at the end of the week, I'm glad we did it. We'll probably do it again next year too! Do you send your kids to a religious summer program? 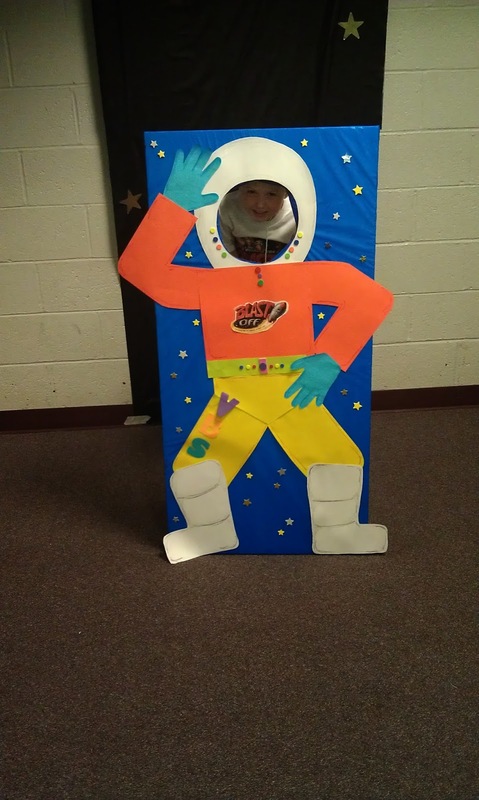 I LOVED VBS when I was a little kid! We don't know a ton of people at our church, too, so I'm excited for the opportunities that will come as Britton gets bigger and we can do more stuff like this. So did I. I went to not only my church, but my cousins' and neighborhood friends :-) It's so exciting when they're old enough to start doing stuff like this...although I still cannot believe he will be starting preschool this fall! I'm glad he had fun. 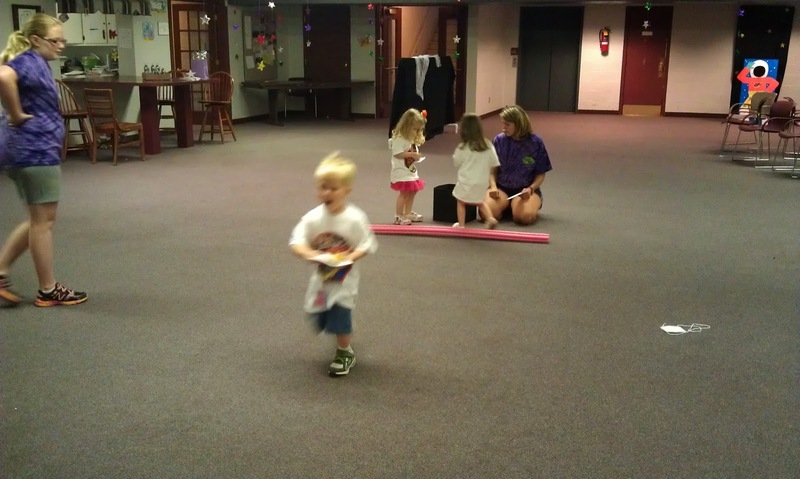 I LOVED VBS as a kid and used to enjoy volunteering too. It's sad that I'm not able to these days but I think it's a great program. Loved VBS. We aren't actively part of a church group yet, but I hope to be soon! We love VBS too. I have worked it every year since I went as a teenager. This year, I'll probably only help a couple of days as I babysit a baby. Hopefully, Ewan will want to go into the kids programs now! Oh, I hope he will! It's so hard on us to try to entertain him and Cecily during church. We both wind up leaving during the middle of service almost every time. Anya has enjoyed VBS this week; tomorrow is her last day:( I wish I could have volunteered but it was in the mornings and I worked 4 of the 5 mornings and had Felix the other day, so there was just no way! I'm so glad ours was in the evening. Otherwise not only would I not have been able to volunteer, but Ewan probably wouldn't have been able to go.